The Autumnal equinox was last week and with the 5th supermoon of the year happening tonight and coinciding with a lunar eclipse, emotions are flowing in our house this week (see previous posts here and here). There were multiple tantrums at the playground Friday from my youngest, attitude and grumpiness from the oldest and migraines and interrupted sleep from me. For us, negative energy just feeds and grows so we try to nip it in the bud early on. Here are some of our favorite ways of breaking the bad mojo. 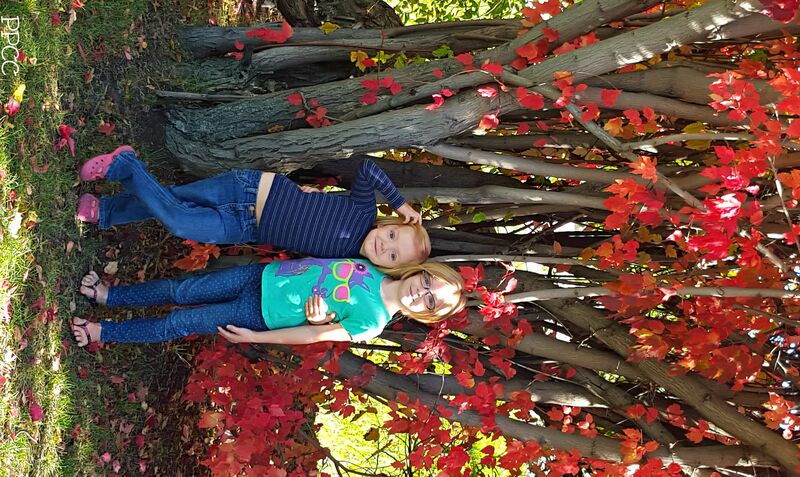 Get outside and Get Back to Nature – This weekend we took in some fall colors close to home. They got a chance to run around and play in the leaves and we came home and had quiet time with a snack. Essential Oils – Lavender is a staple in our house and I also have a Tranquility blend I add to a squirt bottle with water. It makes for a great room spray anytime and especially at bedtime. , with easy and enjoyable animal poses. Dance Party – turn up the music and dance the grumpiness out, or put some soothing instrumental on to mellow everyone’s moods. If nothing else is working, grab a bunch a books and snuggle on the couch, or cuddle up for a movie. Sometimes the best thing for a bad moon is just to be close to someone else. What do you do to get back on track from a bad day? Disclaimer: I’m a mom not a doctor. Before you start anything new, consult your physician or naturopath.